Israel is small country in the Middle East, about the size of New Jersey, located on the eastern shores of the Mediterranean Sea and bordered by Egypt, Jordan, Lebanon and Syria. The nation of Israel—with a population of more than 8 million people, most of them Jewish—has many important archaeological and religious sites considered sacred by Jews, Muslims and Christians alike, and a complex history with periods of peace and conflict. Much of what scholars know about Israel’s ancient history comes from the Hebrew Bible. According to the text, Israel’s origins can be traced back to Abraham, who is considered the father of both Judaism (through his son Isaac) and Islam (through his son Ishmael). Abraham’s descendants were thought to be enslaved by the Egyptians for hundreds of years before settling in Canaan, which is approximately the region of modern-day Israel. The word Israel comes from Abraham’s grandson, Jacob, who was renamed “Israel” by the Hebrew God in the Bible. King David ruled the region around 1000 B.C. His son, who became King Solomon, is credited with building the first holy temple in ancient Jerusalem. In about 931 B.C., the area was divided into two kingdoms: Israel in the north and Judah in the south. Around 722 B.C., the Assyrians invaded and destroyed the northern kingdom of Israel. In 568 B.C., the Babylonians conquered Jerusalem and destroyed the first temple, which was replaced by a second temple in about 516 B.C. For the next several centuries, the land of modern-day Israel was conquered and ruled by various groups, including the Persians, Greeks, Romans, Arabs, Fatimids, Seljuk Turks, Crusaders, Egyptians, Mamelukes, Islamists and others. From 1517 to 1917, Israel, along with much of the Middle East, was ruled by the Ottoman Empire. But World War I dramatically altered the geopolitical landscape in the Middle East. In 1917, at the height of the war, British Foreign Secretary Arthur James Balfour submitted a letter of intent supporting the establishment of a Jewish homeland in Palestine. The British government hoped that the formal declaration—known thereafter as the Balfour Declaration—would encourage support for the Allies in World War I. 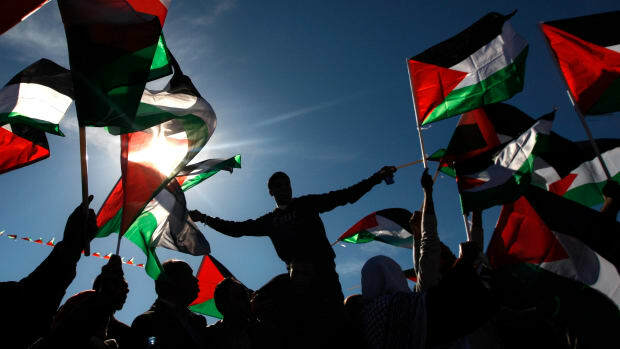 When World War I ended in 1918 with an Allied victory, the 400-year Ottoman Empire rule ended, and Great Britain took control over what became known as Palestine (modern-day Israel, Palestine and Jordan). The Balfour Declaration and the British mandate over Palestine were approved by the League of Nations in 1922. Arabs vehemently opposed the Balfour Declaration, concerned that a Jewish homeland would mean the subjugation of Arab Palestinians. The British controlled Palestine until Israel, in the years following the end of World War II, became an independent state in 1947. Throughout Israel’s long history, tensions between Jews and Arab Muslims have existed. The complex hostility between the two groups dates all the way back to ancient times when they both populated the area and deemed it holy. Both Jews and Muslims consider the city of Jerusalem sacred. It contains the Temple Mount, which includes the holy sites al-Aqsa Mosque, the Western Wall, the Dome of the Rock and more. Gaza Strip: A piece of land located between Egypt and modern-day Israel. Golan Heights: A rocky plateau between Syria and modern-day Israel. West Bank: A territory that divides part of modern-day Israel and Jordan. In the late 19th and early 20th century, an organized religious and political movement known as Zionism emerged among Jews. Zionists wanted to reestablish a Jewish homeland in Palestine. Massive numbers of Jews immigrated to the ancient holy land and built settlements. Between 1882 and 1903, about 35,000 Jews relocated to Palestine. Another 40,000 settled in the area between 1904 and 1914. 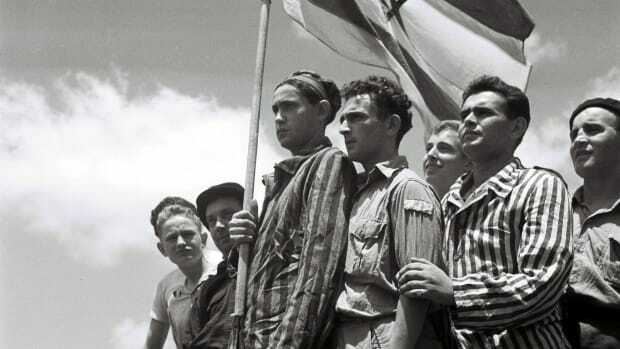 Many Jews living in Europe and elsewhere, fearing persecution during the Nazi reign, found refuge in Palestine and embraced Zionism. After the Holocaust and World War II ended, members of the Zionist movement primarily focused on creating an independent Jewish state. 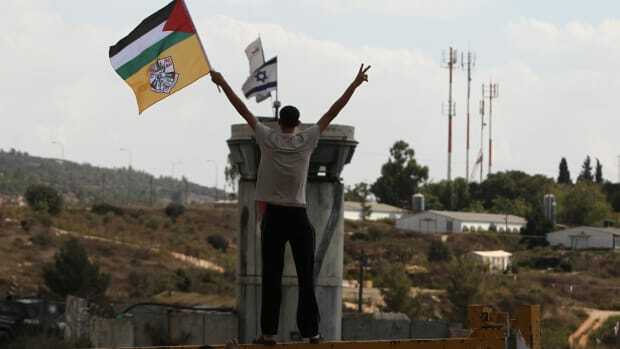 Arabs in Palestine resisted the Zionism movement, and tensions between the two groups continue. An Arab nationalist movement developed as a result. The United Nations approved a plan to partition Palestine into a Jewish and Arab state in 1947, but the Arabs rejected it. 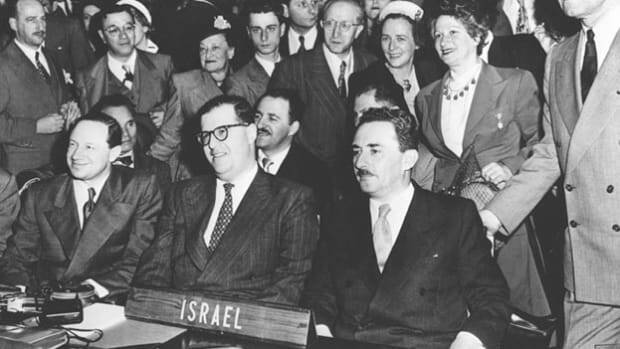 In May 1948, Israel was officially declared an independent state with David Ben-Gurion, the head of the Jewish Agency, as the prime minister. While this historic event seemed to be a victory for Jews, it also marked the beginning of more violence with the Arabs. 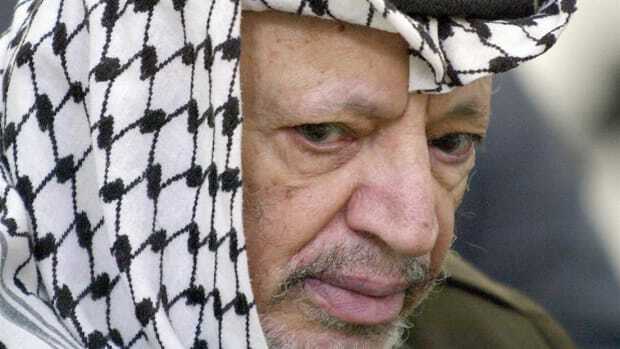 Following the announcement of an independent Israel, five Arab nations—Egypt, Jordan, Iraq, Syria, and Lebanon—immediately invaded the region in what became known as the 1948 Arab-Israeli War. Civil war broke out throughout all of Israel, but a cease-fire agreement was reached in 1949. 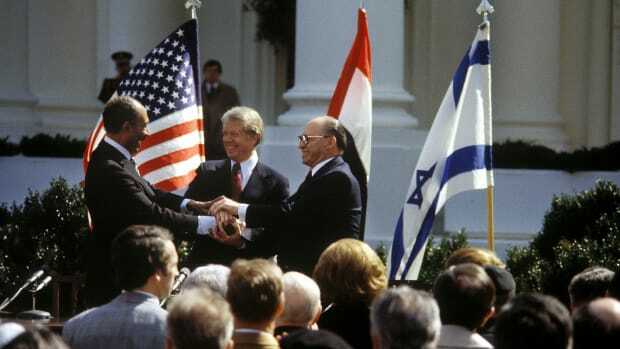 As part of the temporary armistice agreement, the West Bank became part of Jordan, and the Gaza Strip became Egyptian territory. Suez Crisis: Relations between Israel and Egypt were rocky in the years following the 1948 war. In 1956, Egyptian president Gamal Abdel Nasser overtook and nationalized the Suez Canal, the important shipping waterway that connects the Red Sea to the Mediterranean Sea. With the help of British and French forces, Israel attacked the Sinai Peninsula and retook the Suez Canal. Israeli, France and Great Britain eventually withdrew from the conflict. Six-Day War: In what started as a surprise attack, Israel in 1967 defeated Egypt, Jordan and Syria in six days. After this brief war, Israel took control of the Gaza Strip, Sinai Peninsula, the West Bank, and Golan Heights. These areas were considered “occupied” by Israel. Yom Kippur War: Hoping to catch the Israeli army off guard, in 1973 Egypt and Syria launched air strikes against Israel on the Holy Day of Yom Kippur. The fighting went on for two weeks, until the UN adopted a resolution to stop the war. Syria hoped to recapture the Golan Heights during this battle but was unsuccessful. 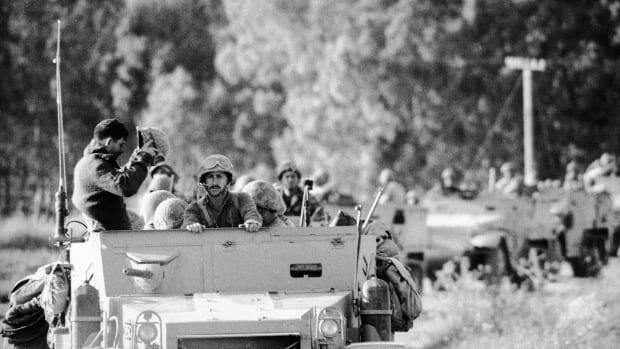 In 1981, Israel annexed the Golan Heights, but Syria continued to claim it as territory. Lebanon War: In 1982, Israel invaded Lebanon and ejected the Palestine Libertarian Organization (PLO). 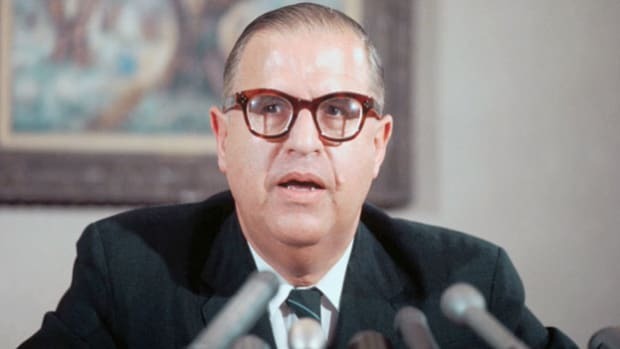 This group, which started in 1964 and declared all Arab citizens living in Palestine up to 1947 to be called “Palestinians,” focused on creating a Palestinian state within Israel. First Palestinian Intifada: Israeli occupation of Gaza and the West Bank led to a 1987 Palestinian uprising and hundreds of deaths. 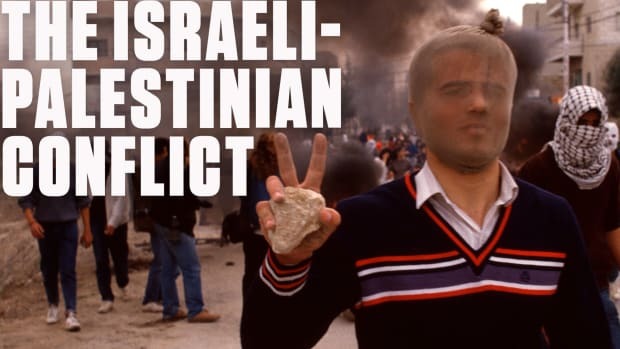 A peace process, known as the Oslo Peace Accords, ended the Intifada (a Arabic word meaning “shaking off”). After this, the Palestinian Authority formed and took over some territories in Israel. In 1997, the Israeli army withdrew from parts of the West Bank. Second Palestinian Intifada: Palestinians launched suicide bombs and other attacks on Israelis in 2000. The resulting violence lasted for years, until a cease-fire was reached. Israel announced a plan to remove all troops and Jewish settlements from the Gaza strip by the end of 2005. Second Lebanon War: Israel went to war with Hezbollah—a Shiite Islamic militant group in Lebanon—in 2006. A UN-negotiated ceasefire ended the conflict a couple of months after it started. Hamas Wars: Israel has been involved in repeated violence with Hamas, a Sunni Islamist militant group that assumed Palestinian power in 2006. Some of the more significant conflicts took place beginning in 2008, 2012 and 2014. Clashes between Israelis and Palestinians are still commonplace. Key territories of land are divided, but some are claimed by both groups. For instance, they both cite Jerusalem as their capital. Both groups blame each other for terror attacks that kill civilians. While Israel doesn’t officially recognize Palestine as a state, more than 135 UN member nations do. Several countries have pushed for more peace agreements in recent years. Many have suggested a two-state solution but acknowledge that Israelis and Palestinians are unlikely to settle on borders. Israeli Prime Minister Benjamin Netanyahu has supported the two-state solution but has felt pressure to change his stance. Netanyahu has also been accused of encouraging Jewish settlements in Palestinian areas while still backing a two-state solution. The United States is one of Israel’s closest allies. In a visit to Israel in May 2017, U.S. President Donald Trump urged Netanyahu to embrace peace agreements with Palestinians. While Israel has been plagued by unpredictable war and violence in the past, many national leaders and citizens are hoping for a secure, stable nation in the future. History of Ancient Israel: Oxford Research Encyclopedias. Creation of Israel, 1948: Office of the Historian, U.S. Department of State. The Arab-Israeli War of 1948: Office of the Historian, U.S. Department of State. History of Israel: Key events: BBC. Israel: The World Factbook: U.S. Central Intelligence Agency. Immigration to Israel: The Second Aliyah (1904 – 1914): Jewish Virtual Library. Trump Comes to Israel Citing a Palestinian Deal as Crucial: The New York Times. Palestine: Growing Recognition: Al Jazeera.